Find Henderson, NV Homes for sale. View Photos, Maps and MLS Data Now! 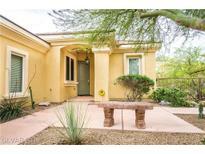 Chaparral Hills - Upstairs master includes a walk-in closet and private en-suite with dual sinks and separate tub and exquisitely tiled shower. Large backyard with covered patio. MLS#2088656. Realty ONE Group, Inc.
Vila Di Lago - Kitchen has granite counters and Jenn-air refrigerator along with wine fridge.Bose sound system throughout the house with security system and 8 outside surveillance cameras To many upgrades to mention MLS#2087953. Windermere Prestige Properties. Water Falls! Huge 3 Car Garage & More! MLS#2086298. Elite Realty. Single Story Home, Situated Directly On Reflection Bay Golf Course (between Green & Tee Box) With Incredible Views Of Golf Course, Lake Las Vegas Village And Mountains*courtyard Entrance*high Ceilings* Crown Molding* Kitchen Has Granite Counters*breakfast Bar* Office Nook Overlooking Garden/Courtyard*master Bedroom Suite With Stone Surround Bath*backyard Wonderful For Entertaining, Pool W/Covered Patio Fire Pit With Built In Bbq Island MLS#2083140. Paragon Premier Properties. Large Master W/Lg Walk In Closet, Bedroom & Full Bath Downstairs, Formal Dining Area, Covered Patio W/ Brick Pavers! Come See For Yourself! MLS#2089086. Flat Fee Pros. Legacy Highlands - Covered patio will let you entertain your guests during all the Las Vegas months. MLS#2089186. GK Properties. Calico Terrace - Lovely views of the mountains, city and strip. MLS#2089442. Genesis Realty Group. Custom Built - *no Hoa*neighborhood Is Zoned 1 Horse For Each 10,000 Sq.Ft Of Site Area *3 Car Side Approach Garage Has Work Shop Area*plenty Of Room For Rv/Boat/Off Road Parking*sit On Front Porch & Enjoy The Mtn View*open Concept Great Room Floor Plan W/Firepl & Vaulted Ceiling*lg Master Bedrm On Opposite End Of House*kitchen Has Breakfast Bar & Bay Window*lot Is Fully Block Wall Fenced* MLS#2088369. Century 21 Gavish Real Estate. 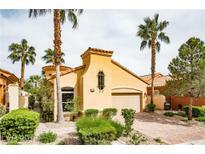 Highpointe Sunridge - Spacious backyard with sparkling pool oasis! A must see! ! MLS#2087965. United Realty Group. Upstairs Features Spacious Loft, Laundry Room, Both Secondary Beds Pre-wired For Ceiling Fans, Spacious Master Suite, Gorgeous Bath And Walk-in Closet W/ Organizers. New Water Softner. Community Pools! MLS#2089036. Platinum R.E. Professionals. Easy access to fwys, dining, Galleria Mall, Rec Center & Water Park! MLS#2089091. Movoto, Inc.
Morningside - This home is perfect and priced to sell fast! MLS#2088745. BHHS Nevada Properties. Front courtyard, cabinets in garage, ceiling fans throughout. MLS#2088178. BHHS Nevada Properties. Environment For Living - Mature,Freshly Landscaped Front And Rear Yard Plus More! MLS#2089386. First Serve Realty. Upstairs you will find a spacious loft, all 3 BR's & conveniently located laundry room. Easy maintenance backyard w/covered patio. 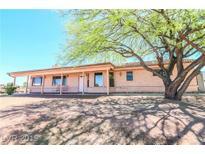 MLS#2089080. ERA Brokers Consolidated. Stephanie Carriage - Downstairs Secondary Bedroom with Bath, Fresh Interior 2-Tone Paint, NEW Carpet and Luxury Vinyl Plank Flooring, Private Rear Yard with Covered Patio and Synthetic Grass, Community Pool & Spa and so much more! MLS#2082581. Realty Executives Southern. Eagle View - Schedule your appointment to tour this house NOW! MLS#2088243. BHHS Nevada Properties. Calusa - Close to freeway and shopping. Close to Cowabuga Water Park. MLS#2089410. Las Vegas Real Estate Speciali. Close to shopping, swimming pool and park. MLS#2088604. Simply Vegas. This house is move in ready and is Sold "AS-IS". Old Republic Home Warranty included. MLS#2089434. Urban Nest Realty.